The good news is that in orthodontics, there are very few true emergencies. 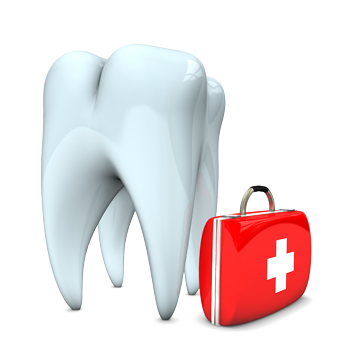 Most problems can be remedied at home or may be able to wait until your next regular scheduled appointment. However, if you have a situation that you cannot resolve or needs our attention, please call us as soon as possible. That way we can give you advice over the phone or schedule a repair visit. If you already have a regularly scheduled appointment coming up, we would still like to hear from you so that we are better prepared to correct the problem or so that we may add additional time to your appointment. If any part of your braces or appliance actually comes out of your mouth, please save them in a safe place and bring them to your next visit. We have a 24 hour answering service available if you need assistance after normal business hours. This can be accessed by dialing our normal office phone lines. The operator can take a message or they can get in touch with the “on call” assistant or doctor if it is a true emergency. Sore teeth resulting from orthodontic adjustments are normal and to be expected. However, if needed, you may take an over the counter pain reliever. We recommend sticking with whatever you would normally take for aches and pains or headaches. Be sure to follow the dosage recommended on the bottle. Of course, staying with softer, easy to chew food is also a good idea during these times when you are experiencing discomfort. Using common sense and cutting your food up into smaller pieces or taking smaller bites is also recommended. If the soreness seems unusual or worsens, please call us for advice. Try moving the wire away from the irritated area with a cotton swab or an eraser. It is also ok to use your finger, just be careful not to poke yourself. If the wire will not move, try covering the end of it with a small piece of dental wax. We usually send you home with a good supply of dental wax in your “start bag” the day we begin new treatment. We also keep a stock of extra wax in a mail box labeled “S.O.S” just outside the offices. If the wire if very painful, you may try to cut it with nail clippers that have been sterilized in alcohol (please use caution). Again, if the irritation seems unusual or does not resolve, please call us for advice or to schedule an appointment. Usually when a brace comes loose from your tooth it remains attached to the main wire. It just may slide around from side to side or flip over. This is usually not a true emergency since it is not frequently accompanied by any discomfort . In fact, you may not even notice the brace is loose until we point it out at your next appointment. In any event, you may leave it alone and call our office to schedule a repair visit if necessary. Many times we can just fix this at your next regularly scheduled visit if you have one coming up. If any part of your appliance should fall out, please keep all pieces safe and bring them to your next visit. You should also call our office at your earliest convenience so we may give you advice and schedule a repair visit for you. If the appliance is loose but remains in your mouth or any small pieces seem loose but have not fallen out, you may see if you can easily remove them with your fingers. The concern is obviously that we want to be sure that you do not accidentally swallow anything. If it is not loose enough to pull out, it is probably fine. Do not hurt yourself by pulling too hard. Please call us as soon as is convenient for you so that we may give you advice and schedule the appropriate repair visit for you. The spacers are the little blue rubber circles that we floss between your back teeth before we can begin certain treatments. If one spacer is lost, it is usually no big deal and does not need to be replaced. If more than one spacer falls out, please give our office a call. That way we can let you know if we will need to see you to replace them. If the spacers are lost right before your next appointment (within 48hours), it is usually not necessary to put them back in. This simply means that there is plenty of space ready for us to utilize at your next visit. A lost or broken retainer is not an overnight emergency, but it is still a big deal. Retainers are usually used after treatment to make sure that all of the hard work, time, and money you invested into your smile and bite correction stay as perfect as possible. Retainers are usually meant to be worn on a regular schedule and consistency is critical. So it is important for us to know as soon as possible if your retainer has been lost or broken. That way we may schedule the necessary appointment to repair or replace it quickly. If you have only worn the current aligner for a few days, you should go back to wearing your previous aligner if it is still available. If you have worn the current aligner for more than 8 days, you should try to advance to the next aligner early if you have it. If you do not have the next aligner, you should go back to the previous aligner if it is available. In all situations, it is better to be wearing something rather than nothing. After using this guide as a reference, please call our office to let us know what has happened. We will need to know what aligners were lost and which aligner you are currently wearing. From this information, we will be able to further advise you on how to proceed and, if necessary, we can order replacement aligners (usually without needing to see you for a visit).